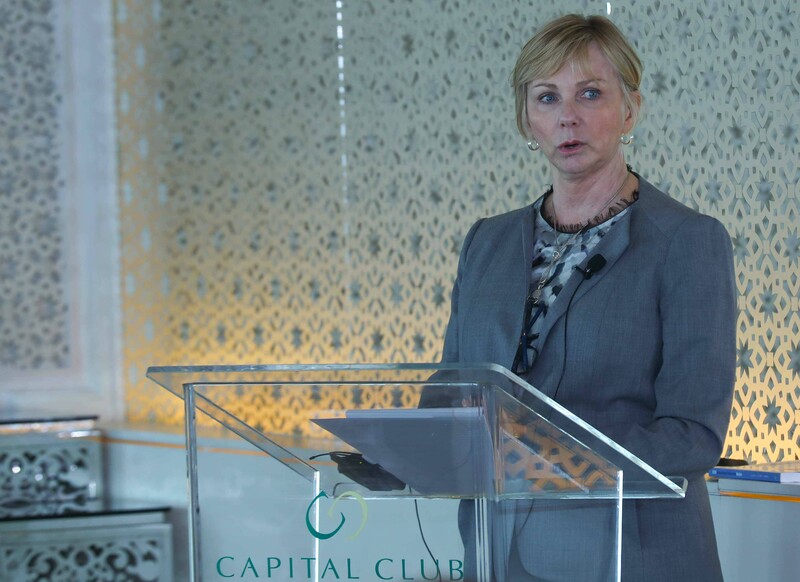 On 14 October 2018, the Bahrain Chamber for Dispute Resolution (BCDR-AAA) hosted a luncheon for leading members of the Bahraini business and legal communities at the Capital Club in Bahrain Financial Harbour. Supported by the Bahraini Ministry of Industry, Commerce and Tourism, the Central Bank of Bahrain and the Bahrain Chamber of Commerce and Industry, the luncheon was attended by more than eighty guests from leading financial institutions, construction and real estate development companies, investment companies, and local and international law firms, as well as a number of ambassadors and government representatives. 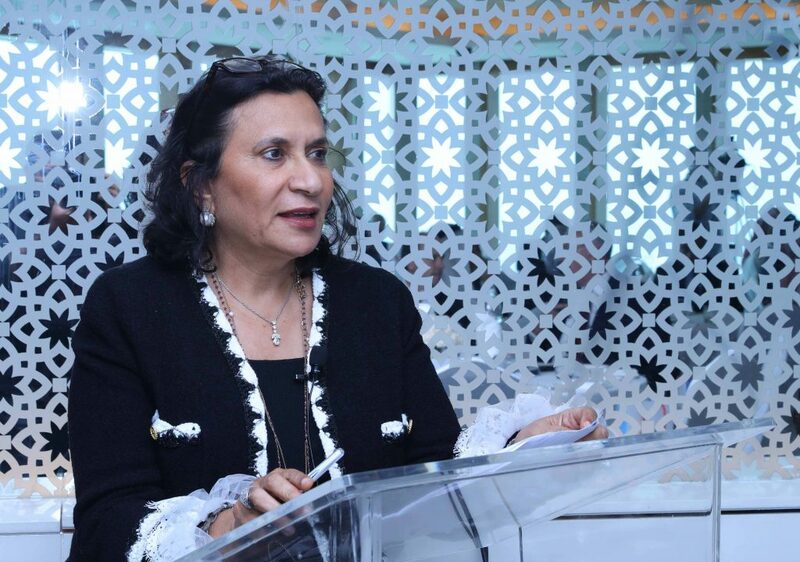 Speakers at the luncheon included Shaikha Haya Al Khalifa, the Chair of the Board of Trustees of the BCDR-AAA, Nassib G. Ziadé, Chief Executive Officer of the BCDR-AAA, India Johnson, President and Chief Executive Officer of the American Arbitration Association (AAA), and Adrian Winstanley, OBE, former Director-General of the London Court of International Arbitration (LCIA). Following Sheikha Haya Al Khalifa's welcoming remarks, Nassib G. Ziadé updated guests on recent developments at BCDR-AAA. Ziadé began by introducing BCDR-AAA as a regional dispute-settlement institution that has been in operation since 2010. In partnership with the American Arbitration Association (AAA), BCDR-AAA, he said, "provides commercial and governmental parties contracting in the region with solutions for rapid and effective resolution of commercial, financial and investment disputes." Ziadé pointed out that BCDR-AAA's secretariat, which includes case managers who are trained lawyers, is overseen by an international board of trustees. Ziadé explained that BCDR-AAA has jurisdiction to administer two distinct categories of disputes. The first category, known as Section One cases, are disputes falling within the jurisdiction of the Bahraini state courts, in which the amount claimed exceeds BHD 500,000 (USD 1.3 million) and at least one party is a financial institution licensed by the Central Bank of Bahrain, or the dispute relates to international commerce. Tribunals appointed under Section One comprise three members (two judges of the Bahrain's highest court and a third member chosen from BCDR-AAA's roster of neutrals). Judgments rendered by Section One tribunals have the status of final judgments of the courts of Bahrain and cannot be appealed. The only recourse available against them is to file for annulment in the Bahrain Court of Cassation. Ziadé noted that, as of 30 September 2018, a total of 225 Section One cases with a combined value in excess of USD 3.92 billion had been administered by BCDR-AAA. Of those cases, 30.2% were determined or settled within six months, 39.6% within 6 to 12 months, 10.2% within 12 to 18 months, 6.2% within 18 to 24 months, and 3.1% after 24 months. The remaining 10.7% of cases were pending. The second category, known as Section Two cases, are disputes covered by a written agreement to arbitrate or mediate under the BCDR-AAA rules. BCDR-AAA may also administer ad hoc arbitration and mediation proceedings, including those conducted under the UNCITRAL rules. BCDR-AAA's arbitration rules were originally adopted in 2010 and were closely modeled on AAA's international arbitration rules. In 2015, Bahrain enacted legislation whereby it adopted the UNCITRAL Model Law on International Commercial Arbitration for both domestic and international disputes. At the end of 2015, BCDR-AAA's board of trustees commissioned a three-member committee composed of Antonio R. Parra, Adrian Winstanley and Nassib G. Ziadé to draft new rules. The committee drew up draft rules embodying what it considered to be best practices in international arbitration. On 1 October 2017, BCDR-AAA's new arbitration rules came into effect. Available in Arabic, English and French, with all three versions being equally authoritative, they introduced changes expanding and enhancing BCDR-AAA's arbitration procedure as well as a new fee schedule and a new model arbitration clause. an amended provision on limitation of liability, which applies to the arbitrators, any secretary or expert to the tribunal, and BCDR-AAA, including its officers and employees (Article 41). To date, 10 cases with a total value in excess of USD 221 million have been administered by BCDR-AAA under its 2010 arbitration rules. Ziadé said that "this is very much in line with developing casework at a new institution," noting that "it is anticipated that the new rules will encourage a steady growth in arbitration casework over the coming years." Ziadé told guests that BCDR-AAA views training and educational opportunities as an integral part of its mission. The BCDR International Arbitration Review, a biannual law journal, contains articles and case decisions in both Arabic and English, with each issue focusing on a specific topic that is timely and relevant to the Arab region. Topics covered in previous issues include: the recognition and enforcement of foreign arbitral awards in the Arab states of the Gulf, women's voices in international arbitration (part 1) (part 2), arbitration in Egypt, international investment arbitration in the Middle East, and construction arbitration in the Middle East. Upcoming issues include a special issue dedicated to the new arbitration rules and another on third-party funding in international arbitration. BCDR-AAA has also launched a series of publications honoring Arab scholars and practitioners who have promoted international arbitration and international law. Each book consists of scholarly essays written by leaders in the field. The first volume in the series was dedicated to Ahmed El Kosheri, a leading expert on international law and arbitration. The second book will be dedicated to Samir A. Saleh, the first Arab vice-chairman of the ICC International Court of Arbitration. Looking forward, Ziadé added that BCDR-AAA is revising its mediation rules and preparing a new set of rules specifically designed for investment arbitration. It is also expanding its roster of arbitrators with additional experienced international practitioners, and is contributing to the work of UNCITRAL working groups, particularly on the reform of the investor-state dispute settlement system. BCDR-AAA will continue to hold international arbitration conferences in Bahrain, the next one being a joint conference with the Arbitration Institute of the Stockholm Chamber of Commerce (SCC) on salient issues in investment arbitration, which will take place on Sunday 18 November 2018 at the ART Rotana Hotel & Resort, Amwaj Islands, Bahrain. 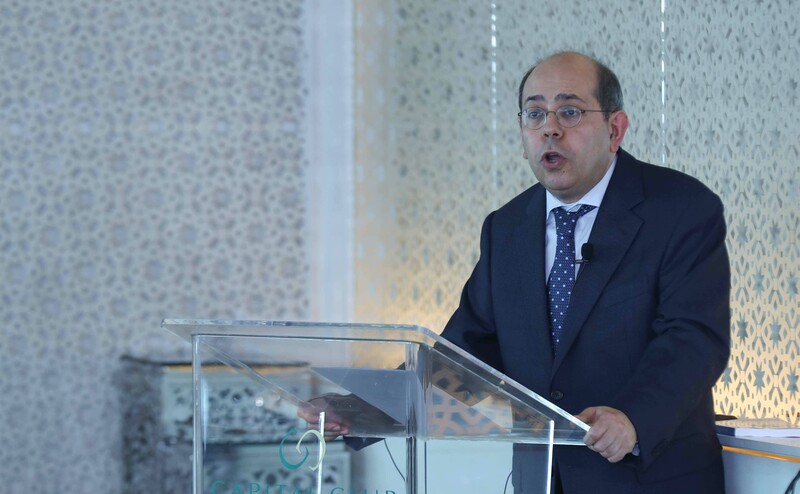 Ziadé concluded by saying that parties from the region should seriously consider choosing BCDR-AAA when including an arbitration clause in their contracts. It offers many advantages as an administering institution: the location is convenient; BCDR-AAA case managers are able to administer proceedings in Arabic, English or French; BCDR-AAA has state-of-the-art arbitration rules and a fair fee structure which was recently revisited. Bahrain has modern legislation favorable to arbitration, a supportive judiciary and has ratified conventions facilitating the enforcement of arbitral awards, including the 1958 New York Convention. India Johnson, AAA President and CEO, presented an overview of the work of AAA, which is now 92 years old, has 600 employees, and an annual caseload of more than 1,200 international arbitrations, plus many more domestic arbitration cases. Noting the long-standing relationship between BCDR and AAA, Johnson remarked that BCDR-AAA's core characteristics have made it a "credible operation from the very beginning," with significant "input from leading arbitrator and mediator experts" from all over the world. Johnson then explained the significance of the "fitting the forum to the fuss" theory of the late Harvard Law School professor Frank Sander, namely that each dispute should use an appropriate dispute resolution process. She remarked that "there is no other process like arbitration," and that it was often specialists with long-standing relevant expertise who were called upon to resolve disputes to the benefit of all parties. This, she explained, accounts for the appeal of international arbitration: "next to international trade, international arbitration brings the world together." The challenge, however, was to make sure that disputes do not go unresolved. It was vital to ensure that parties to a dispute have a forum where legal problems can be resolved in a timely and cost-efficient manner. 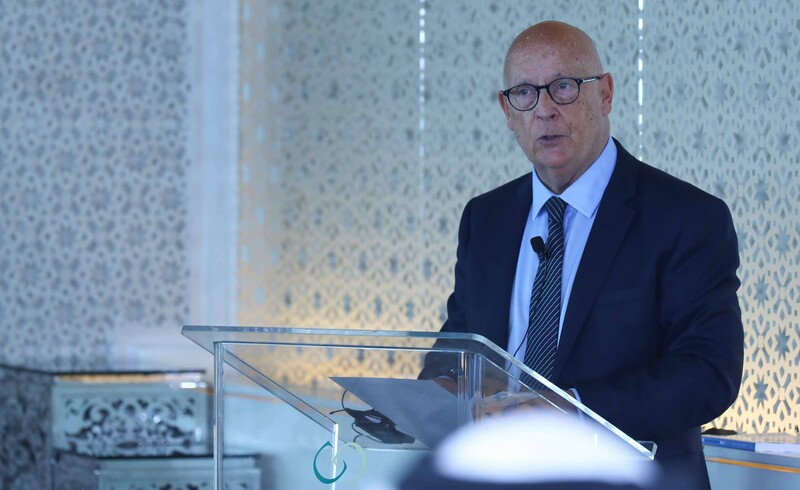 Johnson concluded that the Bahraini business and legal communities should be "proud of such a well-respected and intellectually broad collaborative group of people from the global international arbitration community within BCDR-AAA," making it a "leading institution for international arbitration cases." Speaking next, Adrian Winstanley focused on innovations in the new BCDR-AAA rules that are aimed specifically at minimizing delay, preventing or penalizing obstruction, and so keeping costs under control. In almost all arbitrations that run their full course from request to award (and in many that do not), the parties' legal costs, he said, constitute by far the largest part of the total costs of the arbitration, with the tribunal's charges in a distant second place, and the institution's charges relatively the most modest of all. Discussing expedited procedures in the new BCDR-AAA rules, Winstanley noted that a party with a relatively modest monetary claim may be deterred from bringing arbitration proceedings, thus potentially being denied access to justice, for fear of lengthy proceedings bringing with them rapidly rising costs. This concern may be even more acute where the arbitration clause provides for a three-member tribunal. Article 6 of the BCDR-AAA rules provides the framework for an expedited procedure in cases in which the combined amount of any monetary claim does not exceed USD 1 million, or if the parties have agreed in writing that the expedited procedure will be adopted irrespective of the sums at issue. Key characteristics of the expedited procedure are that the request for arbitration constitutes also the statement of claim, and that the response to the request also constitutes the statement of defense and any counterclaim; that the appointment of a sole arbitrator is mandatory, even when there is a pre-existing agreement that there should be three arbitrators; and that a 30-day time limit is set in which to issue the award after the close of the proceedings. Another innovation with the potential for significant time and cost savings is Article 18 of the new BCDR-AAA rules, which empowers the tribunal, in an order or an award, to dispose summarily of any issue that is shown to be material to the outcome of the arbitration and amenable to summary procedures. Article 18 of the BCDR-AAA rules brings into arbitration the same remedies that have long been available in ordinary litigation in a number of state courts, including the courts of the United States of America (through Rule 56(1) of the US Federal Rules of Procedure) and of England and Wales (through Section 24.2 of the English Civil Procedural Rules). Under Article 18, the onus is on the applicant simply to "set out the issue or issues asserted to be suitable for summary procedure and the specific grounds advanced for such assertion." Thus, Article 18 is broad and flexible, as it applies to "any legal or factual issue" that the applicant considers "material to the outcome of the arbitration." Winstanley noted that this offers efficiency in disposing of issues that might otherwise remain "tangled in the broader case, whilst also quickly removing from the proceedings unmeritorious arguments, submissions and claims." Winstanley observed that while arbitration is promoted as a less expensive alternative to litigation, taking into account in particular the finality of an arbitral award, arbitration has, in recent years, come to be regarded as potentially time-consuming and expensive, prompting arbitral institutions to become increasingly focused on keeping time, and therefore costs, in check. Under the previous (2010) BCDR-AAA rules, the filing fee, payable with the claim and any counterclaim, was calculated by reference to the value of the claim, forming substantially the greater part of BCDR-AAA administrative charges, with a much smaller additional amount payable as a case service fee, also calculated by reference to the sums in dispute. Thus, the administrative charges under the previous rules had the effect of "front-loading" the administrative costs of the arbitration, particularly in high-value cases. Given that many arbitrations settle at a relatively early stage of proceedings, and that commencing an arbitration is itself sometimes the catalyst for settlement, this "up-front costs burden" might have appeared disproportionate, possibly also proving a deterrent to some contracting parties when considering their dispute resolution options. By contrast, under the new BCDR-AAA rules, a fixed, non-refundable filing fee of USD 3,000 is payable by the claimant with the request for arbitration, irrespective of the value of the claim, and forming part of the recoverable costs of arbitration. No filing fee is payable with any counterclaim filed by the respondent. Thereafter, promptly after the filing of the response to the request for arbitration, a case management fee is payable, calculated on the basis of the sums claimed and counterclaimed. The new BCDR-AAA rules have, therefore, effectively reversed the relative proportions of the filing fee and the case management fee, bringing BCDR-AAA into line with the majority of international arbitration centers, thereby simplifying the fee schedule and making BCDR-AAA arbitration more accessible to potential users. The new BCDR-AAA rules no longer permit the parties to negotiate fee rates with their nominated arbitrators. Fee rates are now agreed between the Chamber and the arbitrators, placing more emphasis on the judgment and authority of the Chamber in assessing appropriate rates. Furthermore, an upper limit of USD 500 is now imposed by the Chamber on arbitrators' hourly rates, which may only exceptionally be exceeded, and then only with the authority of the Chamber and the agreement of all parties. Winstanley shared Johnson's positive outlook with regard to the progress that BCDR-AAA has made. While contracting parties to a dispute may frequently fall back on the comfort of renowned and outstanding institutions, "younger and more compact institutions like BCDR-AAA often have offerings to match or even exceed those of their sister institutions," in respect of such matters as location, infrastructure, administrative efficiency and agility, the costs of arbitration and, of course, their rules. Winstanley expressed the view that the new BCDR-AAA rules "are the equal of any other, and superior to many; comprehensive, clear and state-of-the-art." In concluding, Winstanley remarked that BCDR-AAA should be considered a "serious contender," particularly in contracts with some nexus to the Middle East, and whether or not the chosen seat and/or physical place of the arbitration is Bahrain. Bahrain, he said, is an arbitration-friendly physical and legal environment, has first-rate communications making it easily accessible, and has supportive, not interventionist, courts. 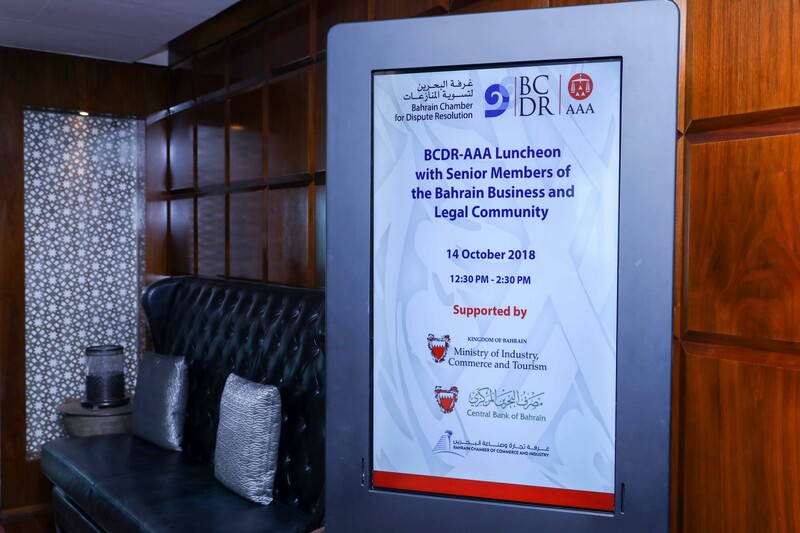 At the end of the luncheon, BCDR-AAA promised that it would continue its dialogue with the Bahraini business and legal communities by periodically organizing similar events in the future.